In the United States, President Donald Trump faces a feisty press corps, damaging investigations into associates and sagging approval ratings. 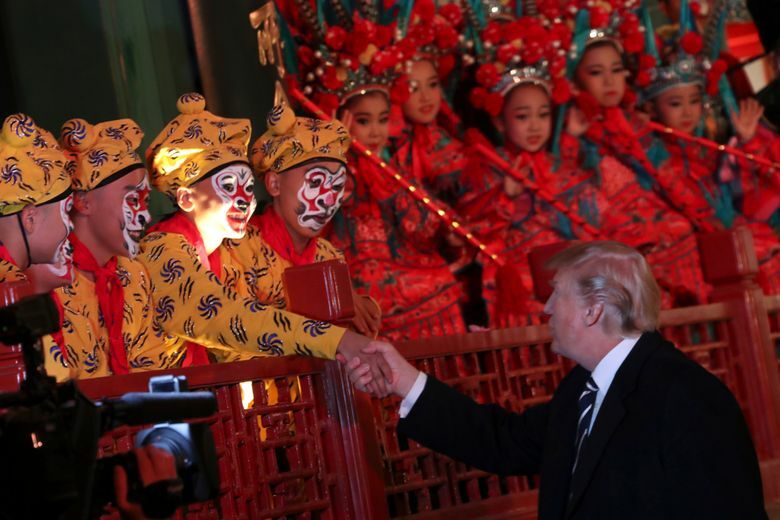 But in China, where Trump arrived Wednesday, he has acquired a legion of admirers who hail him as a straight-talking politician and business mogul with a knack for deal making. As in the United States, Trump can be a polarizing figure in China. He has his share of critics, who mock him as egoistical and erratic, and for fanning the war flames with North Korea. But he also has many ardent supporters, which is perhaps a surprising development for the leader of China’s biggest geopolitical rival. Trump’s Chinese fans praise his irrepressible style, his skill as an entertainer and his willingness to say what he thinks. 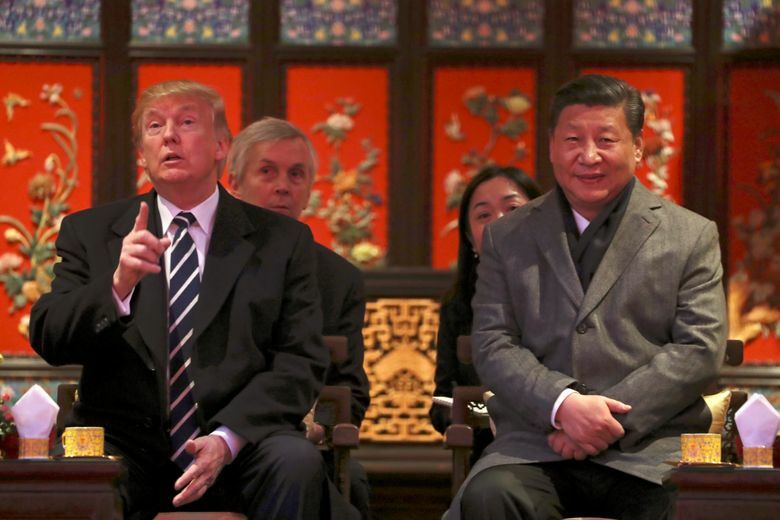 Many also like the fact that he seems less inhibited than previous U.S. presidents about recognizing China as a superpower and as an equal on the global stage. 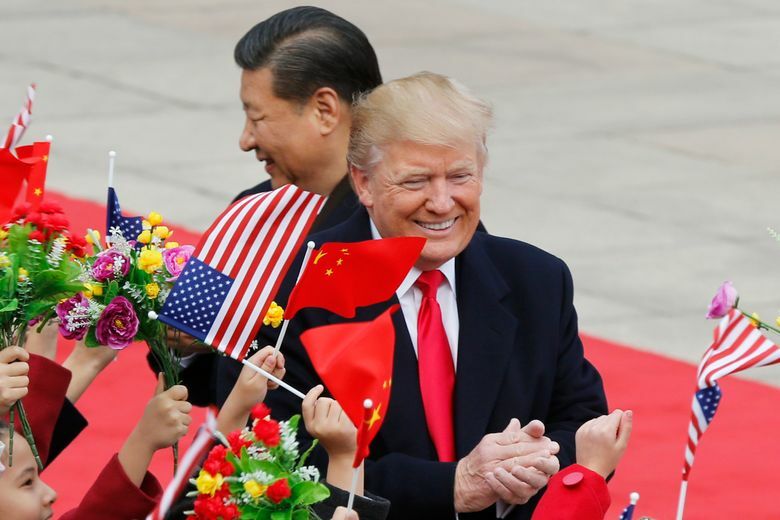 And after years of U.S. presidents lecturing China on issues like political prisoners and democracy, many also say they are relieved to see a leader who seems to care more about making deals than idealism. They say Trump has changed the tone of the United States’ conversation with China. It helps that the government-run news media has encouraged a positive portrayal of Trump, focusing on his warm relationship with Xi and his praise for China. Even those who do know about Trump’s troubles at home, including the investigation into his campaign’s ties to Russia, say these don’t detract from his admirable qualities. For many Chinese, Trump is a familiar type: the celebrity businessman. Successful, outspoken tycoons can win godlike status in China’s get-rich society, and Trump is no exception. His books, including “Trump Never Give Up,” received glowing reviews on Chinese websites. He is presented as a role model, a billionaire with his own empire of golf courses and gilded hotels. Of course, not everyone is a fan. When asked, some Chinese said they worried that Trump is inflaming tensions with North Korea, a longtime ally. Others are concerned by his past attacks on China on trade and intellectual property rights. Some described him as mercurial, saying that while he seems to be friendly now, that could suddenly change. Even some of those who disagree with Trump’s policies see him as a refreshing iconoclast, willing to discard the tone of moral superiority that some previous U.S. leaders had held toward China, especially on human rights. The Communist Party’s tight grip on information in China might be playing into Trump’s popularity, experts say. 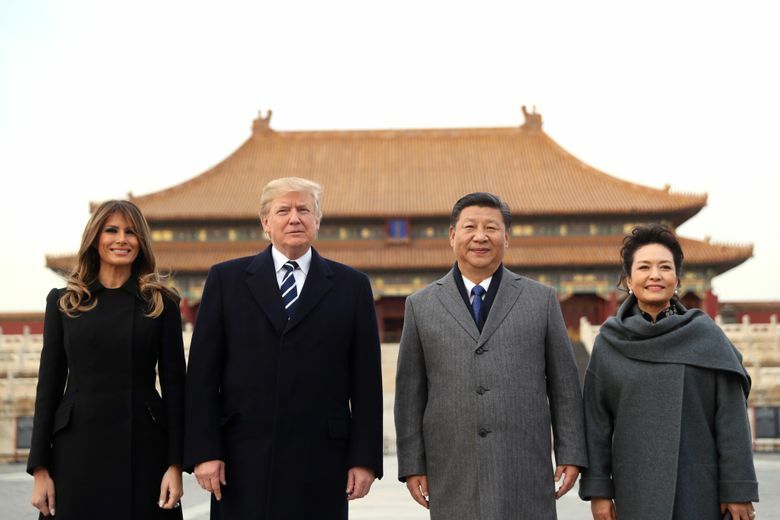 Stanley Rosen, a political-science professor at the University of Southern California, said that the Chinese respect unpredictable, confident personalities, which in their own history would include figures like modern China’s founding father, Mao Zedong. Trump is showing that he is spontaneous and “beholden to no one,” Rosen said. Trump’s celebrity status also adds to his mystique. Before his election, he was already known in China as the star of “The Apprentice,” which could be viewed online. Trump’s most effective tool in winning over Chinese audiences may be his family. His daughter Ivanka, who started her own fashion brand, is regarded as a role model for young Chinese entrepreneurs. His 6-year-old granddaughter, Arabella, became a nationally known figure this year after a video appeared of her singing in Chinese. On Wednesday, Donald Trump showed Xi another video of his granddaughter singing in Chinese, which was shared widely after it was posted online, attracting tens of millions of views in less than 24 hours. Other Chinese take a more hard-nosed approach, embracing Trump because of the advantages that they see him offering to China. They regard a U.S. retreat from global affairs as an opening for Beijing to extend its influence. They also say Trump has helped enhance China’s stature by treating Xi as an equal partner. 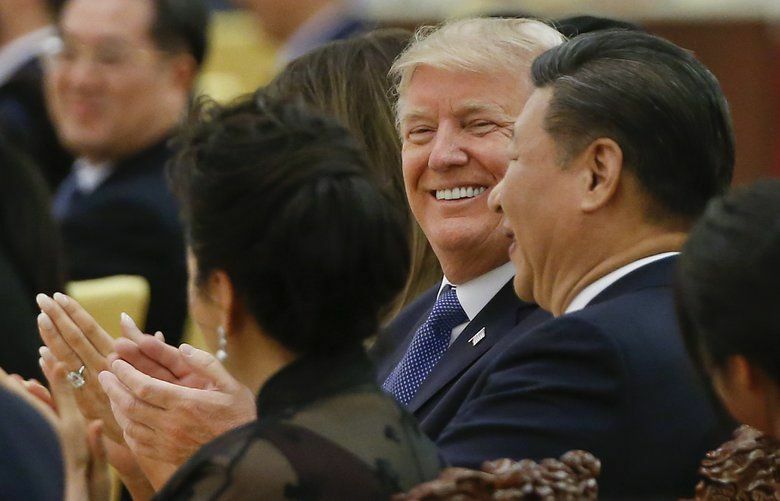 The Global Times, an ardently nationalist state-run tabloid, praised Trump for showing respect to Xi, such as when he called last month to congratulate Xi on winning a second five-year term as Communist Party leader.